This kit from MST Experience is a complete plug-and-play replacement front fairing. Due to the low wattage rating (quoted at only 15w for high and low beam) we'd strongly recommend against road use of this product (*it is not legal for road use in any of the United States anyway), but it might be good for a bike that is ridden strictly on track or off road. 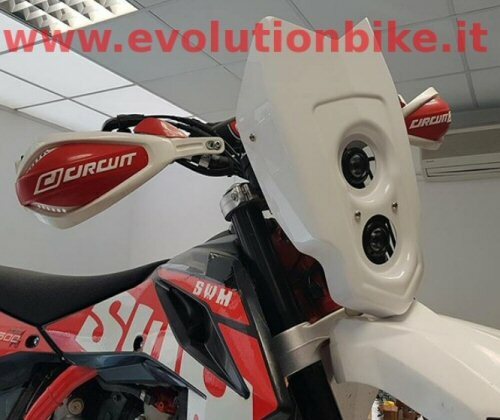 Includes all needed connectors, anodized aluminum mount bracket and fairing is made from white ABS plastic.